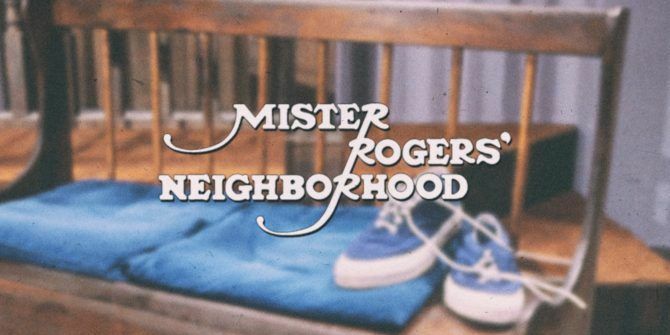 Twitch is currently streaming all 886 episodes of Mister Rogers’ Neighborhood. Twitch is best known as the place to watch other people play games, but is experimenting with different content. The Mister Rogers marathon is happening right now, and set to end on June 3rd, 2017. Mister Rogers’ Neighborhood, for the uninitiated among you, is a TV show primarily aimed at children, but which was considered “appropriate for all ages”. It ran from 1966 to 2001, and there are an incredible 886 episodes in existence. All of which are now streaming on Twitch Run a Better Twitch Stream With These Tools Run a Better Twitch Stream With These Tools Twitch channels rarely grow popular by accident. Far more often, fame and attention are the result of long hours, innovative ideas, and tireless dedication to making quality content. Read More . The Mister Rogers marathon, which has its own dedicated Twitch channel, kicked off on May 15th, and will run until June 3rd. All 886 episodes of the show will be streamed in order, with Twitch claiming many episodes have “only aired once or are unavailable elsewhere online”. When announcing the marathon, Twitch suggested Mister Rogers may have been the “first streamer than many of us ever watched”. This is due to his ability to “always speak directly to his viewers in a welcoming, familiar way,” making viewers feel “like a part of the community”. As well as helping people relive their childhoods, the Mister Rogers marathon is intended to help raise money for PBS (Public Broadcasting Service) channels around the U.S. To that end, Twitch is asking anyone tuning into the marathon to donate money to their local PBS channel. This isn’t the first time Twitch has marathoned a beloved show starring an enigmatic host, having previously streamed every episode of The Joy of Painting with Bob Ross and The French Chef with Julia Childs. However, this is Twitch’s most ambitious streaming marathon so far. Mr Rogers’ Neighborhood was a staple of many American’s childhoods, so the chance to watch every episode ever made is something pretty special. Twitch deserves credit too for using this as an opportunity to raise money for PBS, an entity Mister Rogers himself was such an advocate of. Did you ever watch Mister Rogers’ Neighborhood growing up? Did you find it to be educational or entertaining? Will you be tuning into the Mister Rogers marathon on Twitch? If so, how long do you think you’ll be watching for? Please let us know in the comments below! Explore more about: Media Streaming, Television, Twitch.